Graham Hazell provides an update on the Renewable Heat Incentive (RHI) scheme and looks at how proposed reforms could impact on the industry. The Brexit referendum in 2016 and the general election in 2017 have both served to cause unforeseen delays to reform of Renewable Heat Incentive (RHI) scheme. This caused uncertainty amongst installers and consumers, despite the fact that the 2015 autumn spending review allocated monies up to 2021 to the value of £1.2 bn. The previous government proposed a number of reforms to what is a unique scheme across Europe. Important features of our RHI, that set it apart from the failed scheme in Northern Ireland, are the expenditure limit protection mechanisms. These include regular reviews of expenditure and mechanisms for reducing tariffs (degression) – or even temporarily suspending the scheme – in the event of a potential forecast overspend. As this is a rapidly unfolding saga it is quite possible that any observations can quickly become out of date, so what follows may be overtaken by more recent announcements. The current situation (early September 2017) is that preliminary legislation was laid in Parliament to allow MCS Installation Standard for Heat Pumps MIS 3005 version 5.0 to be eligible to raise an MCS certificate for the purposes of RHI eligibility. 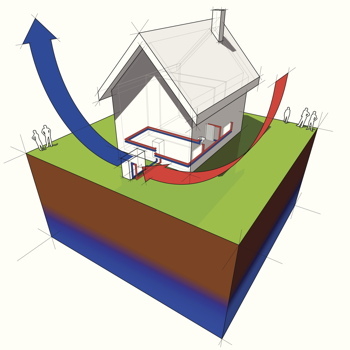 Heat pumps of all types are becoming a popular option for domestic, commercial and mixed-use projects. Changes to incentives affect users and installers alike. This last point is significant since it ensures that predicted future expenditure remains within the budgets as approved by Treasury and prevents premature decreases in tariffs for technologies which are heavily deployed. Will the proposed additional reforms be implemented? The majority of reforms proposed in the government response of 14th December 2016 have already been included in this latest package in August 2017. Whether the other reforms will be adopted has yet to be seen. As identified above, one of the new reforms introduced to the domestic RHI (DRHI) scheme is to impose Heat Demand Limits to reduce the rate of return that sometimes is believed to occur on large projects. These limits mean that any size project can still apply for DRHI, but the payments will be capped to a maximum energy projection. This does not mean these systems become ineligible, just capped. However, these caps are based on gross energy demand and are reduced to the proportion of renewable energy. Take an ASHP system with a ‘deemed’ ( as per the EPC) energy demand of 26,700 kWh and a MCS SCoP of 3.33. The cap is 20,000 gross, so the remaining 6,700 kWh is ignored. The deemed energy demand is then reduced by the ratio of input power i.e. 1/3.33 = 0.3. So the eligible energy is 1-0.3 = 0.7 x 20,000, = 14,000 kWh. Had the tariff not been increased under the existing scheme but the HDL applied, then the annual DRHI income would have been: 14,000 x 7.63p/kWh = £1,068 per annum. Without the HDL cap it would have been 26,700 kWh x 0.7 x 7.63 p/kWh = £1,426 pa.
20,000kWh (capped) x 0.7 x 10.18 p/kWh = £1,425. This is almost the same as under the non-capped system without a tariff increase. In other words, the tariff rise will offset the HDL capping up to roughly 26,700 kWh for ASHP systems and after that the return will tail off, as the additional cost of larger systems is only offset by energy savings alone, with the RHI remaining a fixed amount. At least this method of calculation means the rate of return gradually tails off after the HDL rather than falls off a cliff. Who will benefit from these tariffs if increased? Any applications for RHI which are accepted and accredited from 14th December 2016 to 20th September 2017 will benefit from the increased tariffs from 20th September onward without any imposition of Heat Demand Limits, i.e. eligibility is back dated but payments are not. Applications made after 20th September 2017 will have HDL’s imposed and this will affect the rate of return for larger kWh projects in line with the limits identified above and the case examples given. 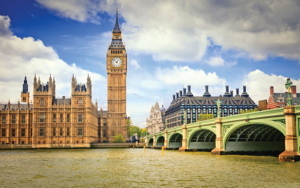 Decisions made in parliament will affect the renewable heat sector for years to come. Firstly, with the expectation that applications for DRHI and Non-domestic RHI will be possible right up to April 2021, it clears much of the uncertainty felt over the last 18 months since the government consultation of March 2016. Secondly, If the project is over 26,700 kWh ASHP or a G/WSHP system over 30,000 and its DRHI is applied for before the new reforms become law (20th September 2017), and it is subsequently accredited, then the HDL’s will not apply nor be backdated and such applicants will be the best off. By the time you likely read this article these measures will already be in place. Now we look forwards and wonder what life will be like after the current incentive closes to new applicants after April 2021.